The Platberg Stadium lies at the foot of a great Eastern Free State landmark - the 9 kilometre long, 2 377 metre high Platberg Mountain. This majestic mountain range forms a stunning backdrop to the stadium. I have worked up and down this mountain for many years and every time I have encounted her she grew more and more on my person, making me love her more. She has her own temprament, keeping an eye on the god-loving town below. She pulls on her blanket of cloud and the town folk know what is to follow. Myself and my family will cherish it for all time. 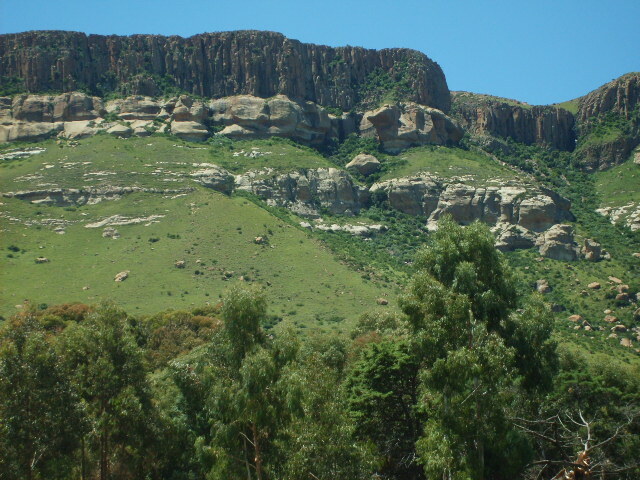 Platberg Stadium and Platberg Mountain is 1.4km from the centre of Harrismith , the nearest airport 219.2km (Moshoeshoe I International Airport).